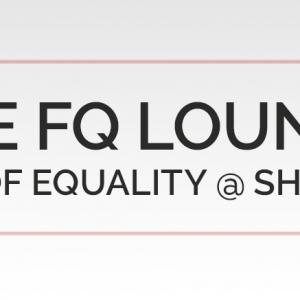 Women In Retail Leadership Circle | Join Us at The FQ Lounge, Home of Equality @ Shoptalk! Mon., March 4 | 8:30 a.m. – 7:00 p.m.
Tues., March 5 | 8:30 a.m. – 6:30 p.m. Furthermore, we’re especially excited because we just added a new session, which is taking place on March 4 at 11:00 a.m. It’s titled Empowering Female Founders and Consumers, and it will be a discussion between Shelley Zalis, CEO, The Female Quotient, and Tim Armstrong, the former Google ads chief and AOL CEO. The two will discuss Armstrong’s new venture, the dtx company, which will invest in direct-to-consumer product companies and launch “experiences” in parts of the U.S. that are underserved. The first six investments for the dtx company are in brands focused mostly on selling to women. We can’t wait! For the full schedule on panels and events, check out this link. And be sure to register here first, please!